I’m looking for filling, I’ve a list of suitable material below, please contact me if you have any. I want to put together a like-minded team to construct the piece. We’ll be doing this in sections and if you can sew and have some time to contribute I’d love to hear from you. The structure is to deal with the idea of UNBOUNDEDNESS, of interconnection, of a closed system with infinite parts. Contours and projections from the shape will create places to sit on and into the piece. 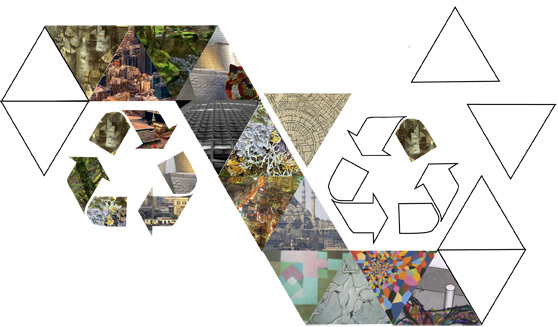 It will be large in scale, intense in surface treatment and entirely composed of recycled textiles. It will be shown at the RCA in March as part of the ‘Friends of the Divided Mind’ exhibition by the students of the Curating Contemporary Art Department. The piece will be part of the Centre of the Universe section of this exhibition. The seating sculpture is constructed as a cushion; a fabric shell stuffed with filling. It will take up quite a large part of the gallery space as furniture for the performances and events that will take place during the course of the exhibition. The shell will be a patchwork of found fabric and second-hand clothes in strong colours. Can I have more details of what dates you will need help with the sewing?